There are few flowers more iconic or glorious than Hyacinths: they are the art, soul and fragrance of spring. 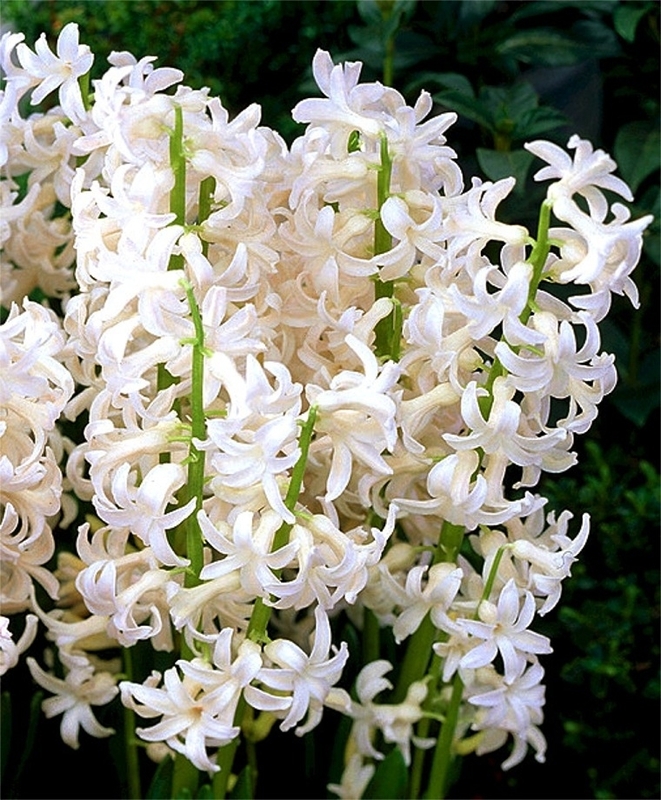 We carry two different strains of Hyacinths: Hyacinthus orientalis and Multi-Flowering Festival Hyacinths. Both are known to be deer- and rodent-resistant and much loved by happily bumbling bees and helpful pollinators. 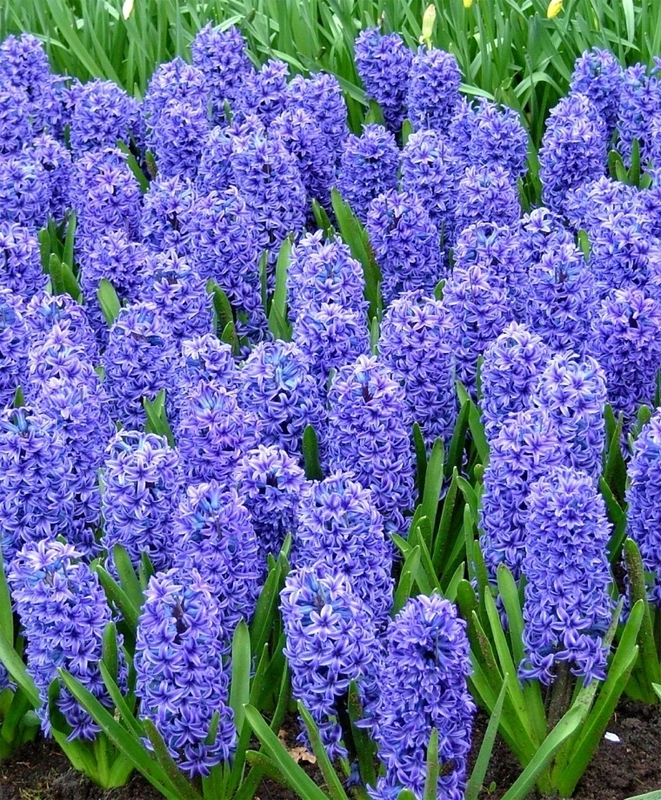 The original species, Hyacinthus orientalis, was found in the wild of the eastern Mediterranean around 1562. The sweet perfume and colorful rainbow of H. orientalis varieties has filled the finest of gardens since 1850 or so when the Dutch began extensive hybridization. For well over a century, Dutch Hyacinths have not only been the rage in display gardens. They have also been the object of obsession as flowers forced in glass vases. These were not always simple glass vases that supported the bulb over water either. Hyacinth vases were also exquisite blown-glass vessels that were colored, etched, enameled and intricately adorned to enhance the extraordinary beauty and prestige of forced Hyacinths, particularly in Victorian era stately homes from the mid 1830s through the 20th century. Hyacinths are The Art & Soul of Spring.